I thought I would be super free after the pageant, but unfortunately for me, that was not the case. My past two weeks were filled with workload, accumulated over the 5 days I was on leave. 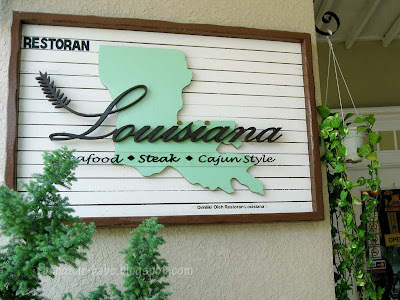 After a few days of dull hawker food, I decided it was time to venture out of the area for lunch, and rif suggested lunch at Secret of Louisiana. 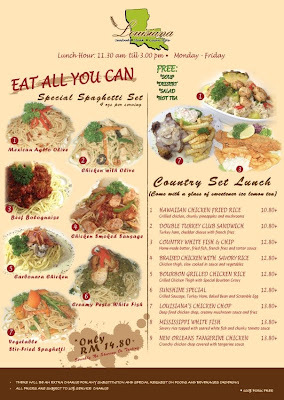 They were having this lunch buffet, which seemed like a pretty good deal – “All you can eat pasta for RM14.80+”. It was similar to what CAFF was offering, except they only serve pasta. CAFF serves both pizza & pasta. 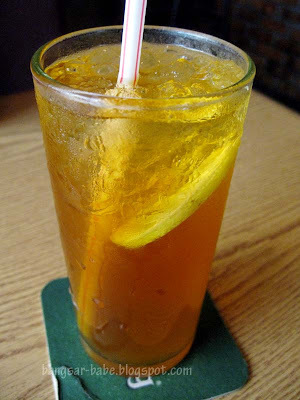 In the buffet, you get a complimentary glass of Ice Lemon Tea (refillable), salad, soup and a scoop of ice cream. 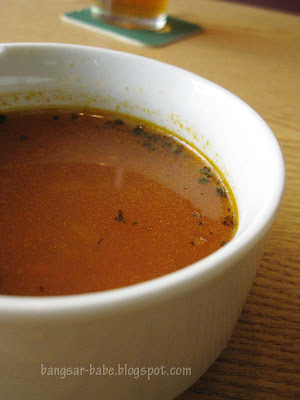 Tomato soup was plain and tasteless – it looked and tasted very much like a westernised “ABC soup”. 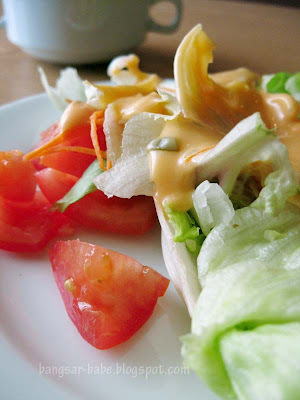 The salad comprised pieces of withered lettuce leaves and tomato chunks with Thousand Island dressing — blah. I wasn’t really bothered, as I was there for the pasta, which by the way, took ages to arrive. There are 7 choices of pasta available, and you can order them as many times as you like. However, you will have to finish your pasta before ordering another. 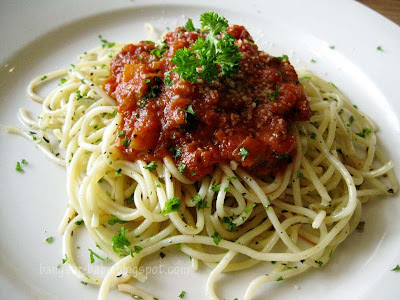 The pasta Bolognese didn’t wow me at first glance, and neither did it at first bite. 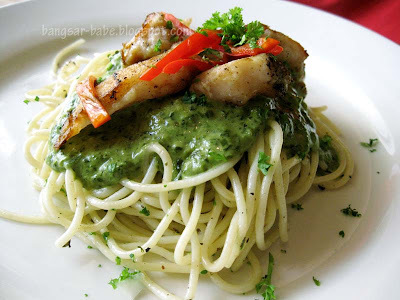 I found the sauce to be weak in flavours, and by the second bite, I asked to switch with rif’s pesto fish pasta. 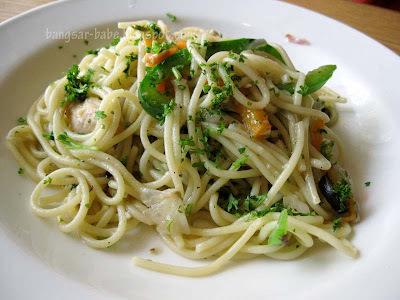 Of all the pastas we ordered (we didn’t order all 7), the fish pesto pasta was the nicest – and I still found it average. The fish was nicely pan fried, so the insides were firm and slightly flaky. rif loves pasta with pesto sauce, so this was a clear favourite for him. I’m not a huge fan of pesto pasta, but given the 7 options, I’d go for this anytime. 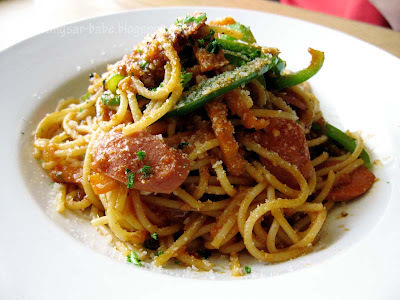 The Chicken Smoked Sausage Pasta was just sliced sausages and capsicums in tomato based sauce. Generic tasting, and I thought it could do with more seasoning — pepper, salt, sugar & herbs. 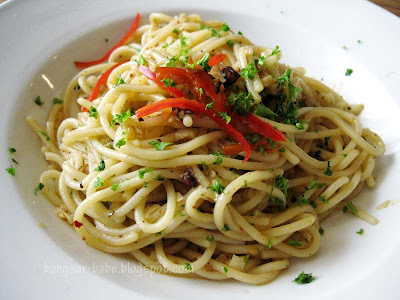 The Mexican Aglio Olio tasted mostly of olive oil and chilli flakes. So if you like your pasta that way, you might like this. I didn’t. The chicken stir-fried spaghetti was slightly better, but it was no where near good. The ice cream was something easily available at supermarkets and the ice lemon tea was the most un-lemon tasting tea I’ve had. It tasted like teh o’ ais…and a very bad version as well. All in, the food didn’t taste anything American — I suspect the recipes have been altered to suit the Malaysian taste bud. The pastas took very long to arrive. I reckon we waited for 20-25 minutes for each plate. So if you don’t have long lunch hours, give this a miss. Service was also not up to mark. The waiter served us our pasta, and walked away without giving us any cutlery (Did they expect me to use my hands??). I’ll be sticking to CAFF from now on. Verdict: The pastas were too Malaysian-ised for me, plus the long wait and half-hearted service irks me. This is open for some time di..stil so bad service and lousy food? hey girl… it's only RM14.90 for the buffet. 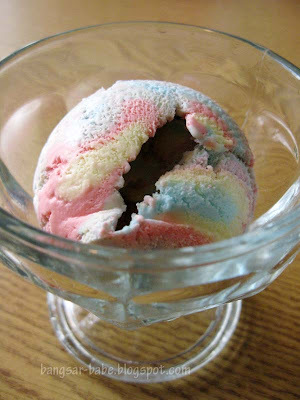 How nice do you think they are gonna get??? Oh.. we wanna try Caff for so long. Thx for reminding me gal. Really a nice blog with a good content ..
Really a nice blog with a good content .. Online dating http://tringuladating.com/ a dating services site for singles. just for RM 14.9 ++? cheap! but sitting at this open area, will it be very warm??? Hmmm I don't know about the value of a pasta buffet… it fills you up too quickly for you to get yr $$'s worth! Think this will be a miss for me!! cheap yes. but you're paying for what you get i assume. though having 7 plates of pasta between two of you … aiks. people tends to over eat when it's "all you can eat"-my friend whacked 5 plates by himself! foodbin – That you're right! J2Kfm – 5 plates between us both. Portion was quite small…it was a scaled down version from the ala carte size. ai wei – Can sit inside also…got aircon. We sat inside…I took photos of the outside because it looked quite nice! taufulou – LOL. How many plates did you order?? 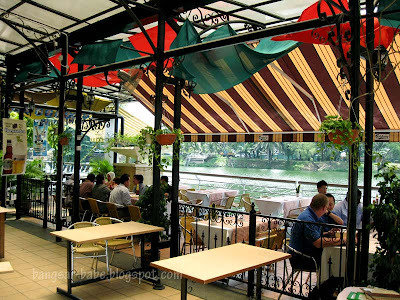 Christine – I hope CAFF is still good…their pastas were so much tastier. SimpleGirl – Even though it's cheap, they should keep the quality somewhat decent. The food was seriously abysmal. Joe – ROFL. Yea…it should remain so! 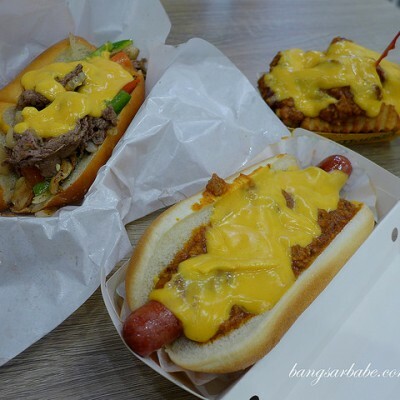 leo – Since this place boasts the same type of buffet as CAFF, they should try to deliver on the promise. They didn't…at all. aiyah always wanted to come and try this place out…mmm..but after this.. Skip the lunch buffet. I heard the ala carte items still OK tasting.